This blog serves an alternative to the campus newspapers reporting and commenting on news on and near the University of Wisconsin-Milwaukee. It will also provide commentary on the media and issues students face today. "Bottom Line: The vast majority of the MU community could care less about UWM. It is a large commuter school, unknown to the vast majority of MU students until they arrive in Milwaukee. From what I know it is an average university in a mid-sized metro area. I had never heard of it before attending MU and I have not since given it any thought or consideration, save for the recent spate of comments surrounding what is (and always will be) a non-rivalry. “UWM fans: Give it a rest." By your handle I’d guess you’re from Alaska (attending a school in a state you’re not familiar with would explain why you’re so out of touch with Wisconsin). Here’s the real bottom line for Salmon Slayer and others who have similar views. I’ll grant that a large number of MU students hail from other states than Wisconsin. However, if such bold statements are to be made about the University of Wisconsin-Milwaukee, some education (albeit self-imposed) is necessary. Salmon’s views are certainly not representative of MU, especially the educated attending the university. This is made clear when Salmon wrote, “From what I know..." Clearly, what Salmon knows isn't much, nor did Salmon bother to seek out the information which he/she doesn’t know. Milwaukee’s the largest city in Wisconsin. Perhaps you should consider taking a geography course at MU so you don’t have to take my word for it. Further, what makes a university average? If it’s enrollment, MU, too, could be said to be average. If it’s the university’s endowment, then MU could be said to be above average and UWM significantly below average. 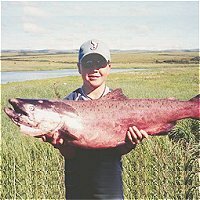 If it’s the quality of education, Salmon has no ground to stand on. An education is what one makes of it. Look at UWM’s Honors College graduate and professional schooling entrance rates and tell me UWM provides an average education. If you’re out of state, that’s understandable for the first few days, maybe even weeks, of attending MU. If you read the news, or even watch it on television, you’d know more about the far-reaching achievements of UWM and some of the latest controversy surrounding it. The discussion of UWM’s and MU’s rivalry has been on-going for many years. Perhaps take a remedial English course to improve your reading skills to better inform yourself of this. In addition to geography and remedial English, take a research course so you’re well-informed before touting your ignorance (that’s nine of the required 12 credits to remain a full-time student next semester). MU and UWM had a cross-town rivalry; it abruptly ended in the late 90s. This wouldn’t be a new concept, my fishy friend, but a return to a healthy Jesuit/public institution rivalry that ended before you were even thinking about post-secondary education. So which is it? You have or have not given UWM a thought or consideration save for the non-rivalry? I’m confused by what you seem to chalk up to fortune-telling skills. Since you seem to see the future so clearly, that UWM and MU will never have a rivalry, look to the past to see, despite your insistence, there was one. UWM is evolving from its label as a commuter-school. Look at the Kenilworth Square Apartments and the dorms that recently broke ground off Humboldt and North avenues (warning, reading and research would be required). UWM might be giving MU a run for its overly abundant endowment. Perhaps that’s what you truly are having a knee-jerk reaction to. UWM's athletics have garnered national attention the last two years. That being said, I am surprised you say you’ve never heard of us. The university’s research programs are moving toward the forefront and will continue to do so. Its students are top-notch and the university opens its arms to almost anyone seeking post-secondary education. MU shuts its doors, or has its doors shut for it, on the majority of applicants chiefly because they don’t have the money and brew the ignorance and arrogance you so readily adorn yourself with. Salmon Slayer, don’t speak when you have nothing to say. You certainly don’t speak for the MU community (it’s far more informed). UWM and its students might give you a nod when you stop mumbling whines lacking knowledge and start an intellectual conversation about the two universities. Stick to fortune telling; I think it'll take you as far as you are destined to go in life.